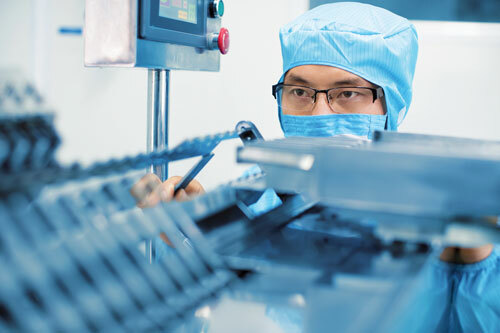 Downstream processing continues to be a huge, chronic pain point in biopharmaceutical manufacturing, as is evident from the data within BioPlan Associates’ 13th Annual Report and Survey of Biopharmaceutical Manufacturing Capacity and Production. According to this study, which incorporates input from 222 qualified industry executives, almost half (48%) of biotherapeutic developers are experiencing “some” or “serious” bottlenecks due to downstream processing problems, as are almost two-thirds (63.7%) of contract manufacturing organizations (CMOs) (Figure 1). Over the past two years, observations of downstream-related production complications have been documented fairly consistently, which suggests that the downstream problems are not being solved. That doesn’t mean that biomanufacturers aren’t doing their best to tackle these problems. Data from BioPlan Associates suggests that they’re taking a number of steps to improve their downstream operations. First among these steps is the simple expedient of cycling columns more frequently, a measure that exactly half of the respondents said they had implemented in the past year to improve their downstream purification operations. This method is used among biodevelopers and CMOs alike, and has consistently been one of the first tactics undertaken to boost operations. Close behind, almost half (46%) of the respondents optimized running conditions, though fewer report having done so than in last year’s study, when it was the most common action taken to improve downstream operations. Once again, unlike some other methods, it is a popular course of action for both biodevelopers and CMOs. Although biomanufacturers have adopted a range of activities that have improved their downstream purification operations, our top-level bottleneck data suggests that these actions have yet to resolve overall industry performance issues. Separately, our survey indicates that industry spending on downstream technologies is rising relatively quickly, with this being one of the fastest-growing budget areas. Perhaps seeing innovation as a panacea for persistent problems, biopharmaceutical manufacturers are eyeing an array of new downstream purification technologies. While levels of consideration for most technologies have receded somewhat this year—perhaps due to actual adoption having already taken place—the list of those in play offers some insights into where downstream innovation may be headed. Nearly two dozen different approaches are being used to improve downstream problems, according to the study (Figure 2). And results show the use of high-capacity resins (37.8%) and membrane technology (also 37.8%) are the two new downstream purification technologies under the broadest consideration by industry participants. High-capacity resin applications have declined somewhat over the past four years. But this remains at the top of the applications being considered. We also note that interest in membrane technology remains well ahead of levels observed earlier this decade, from 2010 to 2013. However, we expect that most users will keep membrane technology in their innovation plans. Close behind in active consideration this year are buffer dilution systems/skids (36.5%) and in-line buffer dilution systems (35.1%). Although interest in the latter has gradually declined over the past few years, the share of annual survey respondents considering buffer dilution systems/skids has been very consistent over the past five to six years. The proportion of respondents citing continuous purification systems has dropped after a huge spike. Other data, however, suggest that there is reason to believe continuous bioprocessing will be one of the industry’s leading innovation areas. For example, separate results from our study show continuous downstream bioprocessing as the new product development area of most interest to our worldwide respondents, with considerably more interest than seen for continuous upstream bioprocessing. Downstream processing issues haven’t yet abated, but biomanufacturers are investigating numerous solutions. Chief among these solutions are high-capacity resins, membrane technology, and buffer dilution systems. However, we should also expect increased use of continuous purification systems to emerge over the coming years, as these appear to be highly desired by the industry at-large.